*This workshop is open to AmCham members and member companies only. The maximum number of registrants per company is 2. Due to Taiwan’s recent spotlight on fighting fake news, the German law NetzDG has been prominently and mistakenly referred to as Germany’s law on fake news by the Taiwan government and others. Dr. Wolfgang Schulz, Director of Hans-Bredow-Institut for Media Research, is a leading scholar on media law in Germany, and will be able to share his views on NetzDG. Dr. Schulz also holds the UNESCO Chair on Freedom of Communication and Information. During his Asia trip in February 2019, Dr. Schulz will be able to stop by Taiwan and hold an event at AmCham to share his insights on this important matter as Taiwan will likely continue to refer to NetzDG in the near future, as the government determines next steps to fight fake news in Taiwan. In light of Taiwan’s efforts to combat misinformation, Taiwan scholar Dr. Ting-Chiu Liu co-published an editorial last December, in warning that such attempts must not impede on freedom of speech. 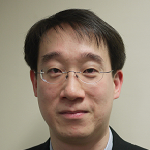 During this event, Dr. Liu will provide insights on relevant policies and laws in Taiwan. 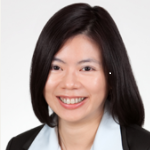 The event will be followed by a panel discussion by Jo-Fan Yu, Partner at Baker & McKenzie. Wolfgang Schulz is a member of the Committee of Experts on Internet Intermediaries (MSI-NET) of the European Council and has been elected chairman thereof. He is also the Chairman on UNESCO Freedom of Communication and Information committee. Furthermore, he will serve on the advisory board of the Law & Technology Centre of Hong Kong University. Dr. Ting-Chi Liu, Associate Professor, College of Law, National Chengchi University will be the invited co-speaker for the event. Dr. Liu’s key areas of research extend across constitutional law, communications law, privacy law, and freedom of information law. Dr. Liu holds a S.J.D. from George Washington University. His past publications include journal papers such as The Impact of International Human Rights Treaties on the Judicial Practices after Their Incorporation into Domestic Law- Focusing on the Judgments of Administrative Courts in R.O.C.（TAIWAN）; Cloud Computing and Personal Data Protection- Focusing on Comparing Taiwan’s Personal Data Protection Act and the EU’s Data Protection Directive; and Rethinking Judicial Yuan Interpretation No.689: Focusing on the Protection of Freedom of the Press, Freedom of Speech, and the Right to Privacy and their Potential Conflicts.